Forget subsidized electricity. Voters are willing to pay a premium for utilities now. 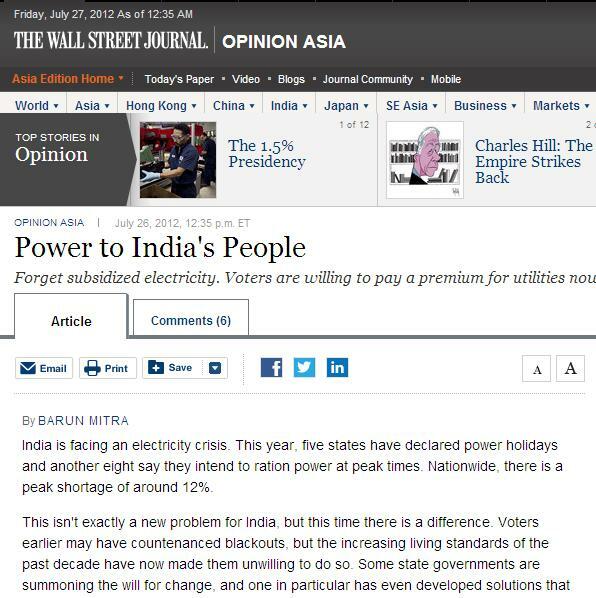 India is facing an electricity crisis. 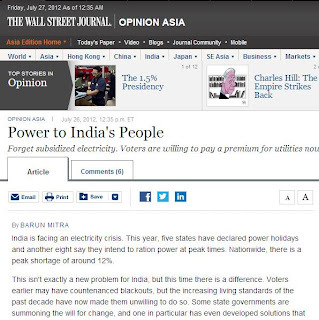 This year, five states have declared power holidays and another eight say they intend to ration power at peak times. Nationwide, there is a peak shortage of around 12%. This isn't exactly a new problem for India, but this time there is a difference. Voters earlier may have countenanced blackouts, but the increasing living standards of the past decade have now made them unwilling to do so. Some state governments are summoning the will for change, and one in particular has even developed solutions that open the door for more policy innovation and reform. For decades, the political wisdom was to provide electricity at very low cost to consumers, and often at no cost to farmers. So while one set of users paid little or nothing, another set usually comprising industrial and commercial users often paid three to four times higher. These so-called cross subsidies couldn't keep up with politicians' promises though. The result was a big financial hole for the power generator or distributor—these days the latter—which eventually left it unable to supply power. Voter agitation about these shortages, as well as recent state election victories for parties that talk about reforming public services, have gotten politicians to rethink their tack. The southern state of Tamil Nadu, in the face of rolling blackouts for 2-6 hours every day, agreed to hike tariffs for the first time in a decade this year. The enormity of the situation can perhaps be best appreciated from the fact that the two major parties in the state haven't opposed the construction of the Kundakulam nuclear power plant, despite NGO protests over it since last year's Fukushima meltdown in Japan. Renewable energy (RE) sources like hydro, wind and solar are good but their generation costs are generally higher than the conventional power sources. Forcing energy consumers to pay higher to make these RE companies become “competitive” is wrong. The RE Act of 2008 (RA 9513) has created various schemes to develop some RE power sources via certain subsidy schemes, like the feed in tariff (FIT) and renewable portfolio standard (RPS). FIT is additional charge to be passed on to energy consumers and given to RE power sources. This is an indirect tax in effect and the beneficiaries are the RE power companies who will receive the FIT. RPS is a system requiring electricity suppliers to source a certain minimum of their energy supply to come from eligible RE resources. 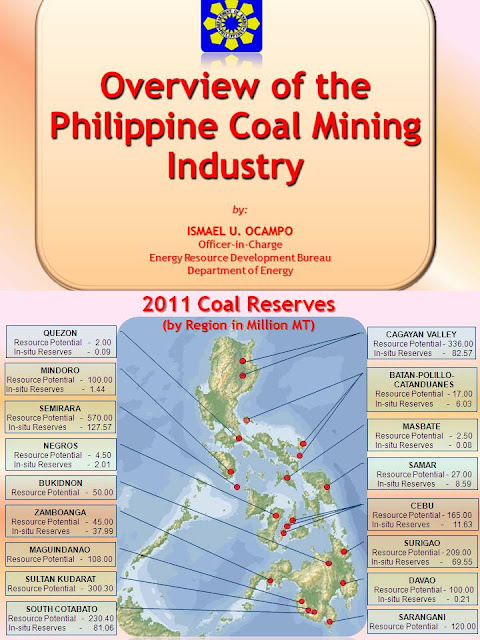 The Energy Regulatory Commission (ERC) has approved last July 27, 2012 the FIT rates for RE projects. These are lower than those proposed by the National Renewable Energy Board (NREB), another bureaucracy created under RA 9513. Units in Pesos per kilowatt hour. The ERC deferred fixing the FIT for ocean power pending further study. These schemes are another product of climate alarmism and racket that will further rob more money from energy consumers, you and me. 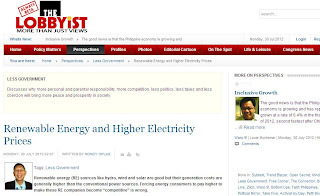 Even before the application of FIT system, the Philippines has the most expensive rates in the whole of Asia, higher than power rates in Japan, Korea, HK, Singapore, Taiwan, etc.. The FIT and RPS schemes will therefore make the already high power rates become even more expensive as these two schemes immediately assure the RE companies of guaranteed markets and buyers, even if current RE costs per kwh are high, and even if RE supply is unstable and unreliable. This is not fair. I have discussed earlier why the RE law is disadvantageous to energy consumers here, Energy rationing 2: The Renewable Energy (RE) law. About two or three years ago, PDE organized a forum in UPSE about "burning planet and climate mitigation" something like that. The two speakers were the head of the Carbon Finance Solutions (CAFIS) and the chief economist of ADB, a Japanese I think. During the open forum, I explicitly argued that the things that the CAFIS and ADB guys are saying are based on wrong premise -- that of an ever-warming, unequivocally warming world due to more CO2 emission due to more humanity's modernization. The most recent temperature data, air and tropospheric temp., land and sea surface temp., are declining or at least flat-lining despite rising CO2 concentration reaching around 390 ppm. The CAFIS and ADB guys said that they are no scientists and they cannot comment on those things, but what they offer are means to mitigate man-made warming and climate change, adapt humanity to such climate change. For me those were not valid responses. They cannot defend a corrupted political science by the UN (IPCC, FCCC, UNEP, etc.) masquerading as climate science, but we should nonetheless accept their proposals and programs of more climate loans, more RE loans, more carbon regulations and taxation, and so on. I have nothing against those RE power sources per se. If people want to power their houses, offices, schools, etc. with wind or solar or biomass or other RE sources, fine, let them shoulder the full generation cost of such energy sources. So if climate changes naturally, with or without human intervention, what is the logic behind all those “save the planet” schemes like the RE law? For every well-meaning government regulation to help the poor, loopholes are created that make them worse than before. Creating new regulations or new subsidies to correct the previous loopholes will only generate new ones. This is proven in the case of some government hospitals and physicians. My friend Ted who owns a small drugstore wrote to say that in a number of government hospitals, some physicians require their patients to buy medicines only from a particular drugstore. The prices of those drugs in that pharmacy are several times more expensive than in other drugstores. The difference goes to the physicians, their partner medical representatives and the drugstore. Ted says the doctor asks the patient to come back after buying the drugs. 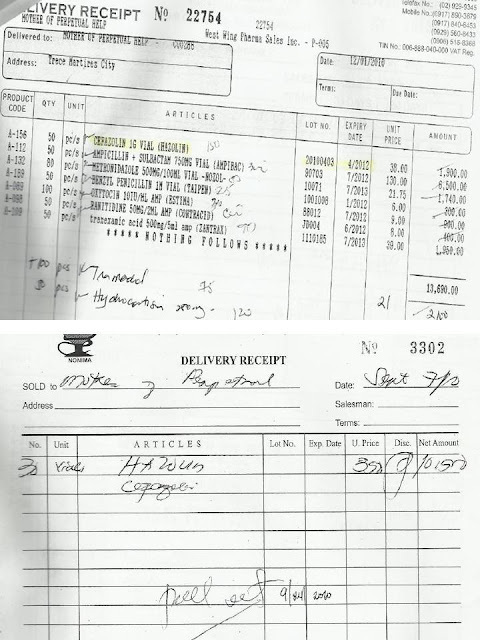 If the medicines are bought elsewhere – the receipt does not come from the specified drugstore, there are no initials by the med rep at the bottom of the drug packaging, or other schemes – the doctor would tell the patient to return them and buy only from the specified drugstore. Ted calls this scheme “doctor’s deal.” A doctor friend describes this formally as “physician entanglement” with med reps and/or drugstores. Below are the receipts showing that these are actual figures. 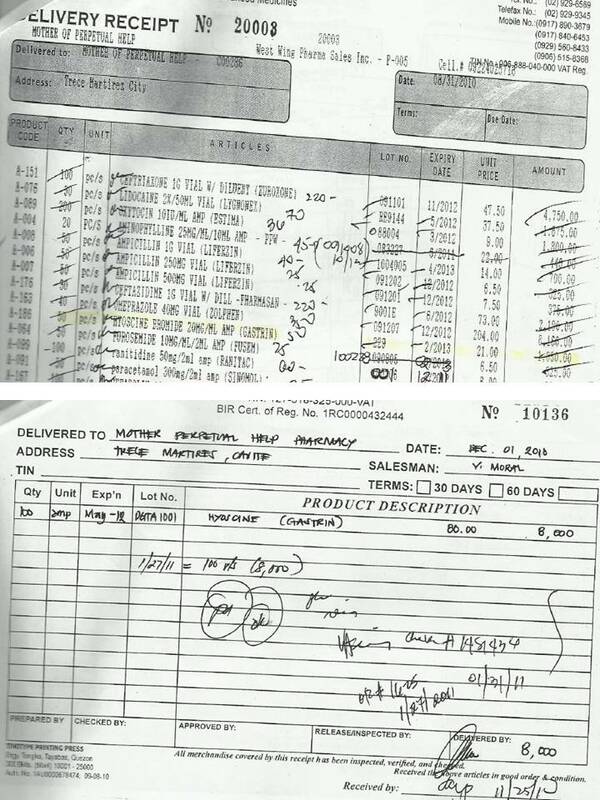 For Phoerenix, one receipt from a Quezon City drugstore dated December 08, 2011 prices the medicine at P39 each, and the second from a Calamba, Laguna pharmacy dated May 26, 2011 prices the same drug at P420. For Hazolin, one receipt from the same Quezon City drugstore dated December 01, 2010 has a unit price of P38, while a second receipt from Imus, Cavite dated September 7, 2012 has a price of P350. 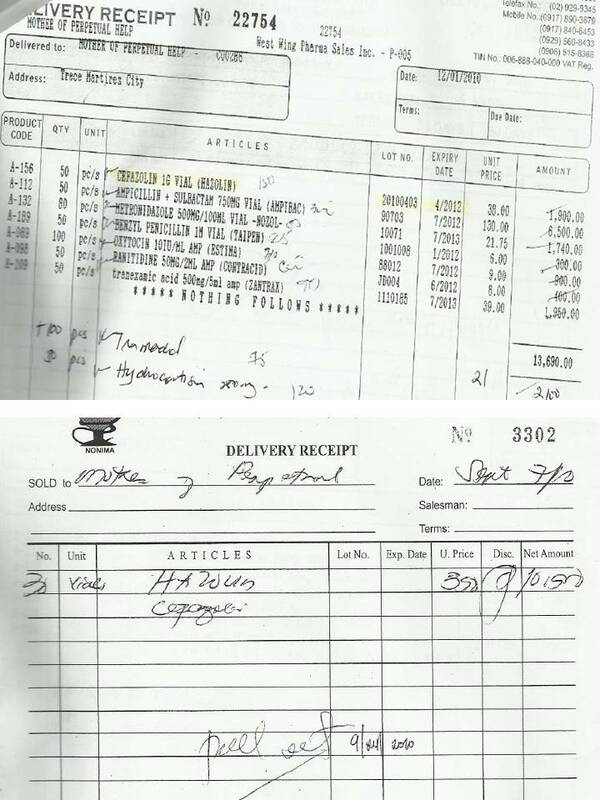 For Gastrine, one receipt the same Quezon City drugstore dated August 31, 2010 prices the medicine at P21 each, while a second receipt from a Pagbilao, Quezon drugstore dated December 1, 2010 prices the same drug at P80 a unit. The purpose of having a government or taxpayers’ funded hospital is to allow the poor to have access to healthcare at low or zero cost to them. Cool in theor,y but does not happen in reality, as the above cases show. A poor person is forced to buy expensive medicine at a particular drugstore to enrich certain government physicians and their partners. Physicians’ links with pharmacies may create perverse financial incentives to over-prescribe, prescribe products with higher profit margins, and direct patients to their pharmacy. Interviews with pharmacy customers in the Philippines show that those who use pharmacies linked to public sector physicians had 5.4 greater odds of having a prescription from such physicians and spent 49.3 percent more than customers using other pharmacies. For customers purchasing brand-name medicines, switching to generics would reduce drug spending by 58 percent. Controlling out-of-pocket spending on drugs requires policies to control financial links between doctors and pharmacies, as well as tighter regulation of non-generic prescribing. This is a serious issue, although the data was for 2007-2008. Take this table for instance. Out of the 166 customers interviewed buying from a doctor’s pharmacy, 52 percent said they bought at a drugstore that was recommended by their government physician. 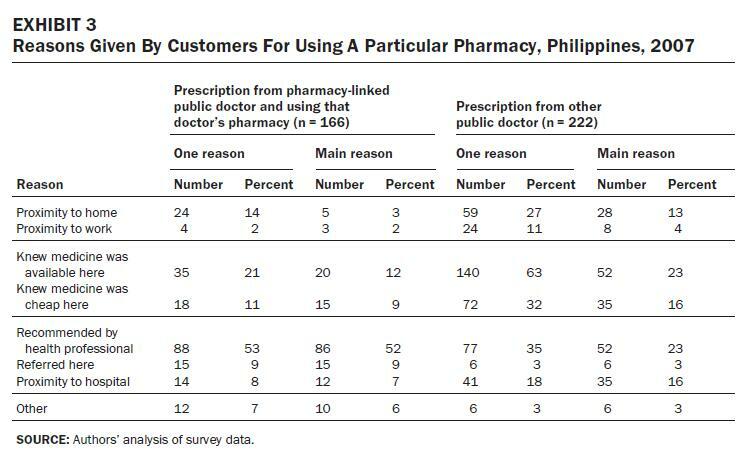 This is more than twice the incidence for public doctors who do own or are not linked to a particular drugstore. From the patients' and consumers' perspective, this is wrong. As consumers, our "vested" interest is more choices, more options; not less, not monopolization. And while it is often said that some pharmaceutical companies - innovator or generic - would give gifts or donations to government hospitals and/or doctors, there are also cases of drugstores giving donations to government hospitals and/or doctors. The result is the same: the beneficiaries’ drug prescription behavior is somehow influenced by the donors. So even if the prices of the donor drugstores or pharmaceutical company are higher than competitors, patients buy from them. One would ask, why do some government physicians do this? Government doctors are not earning enough. They get a fixed salary, so some "moonlighting" can be expected. 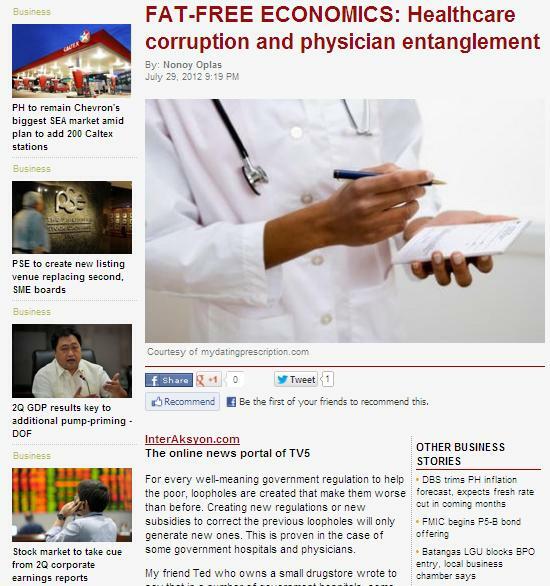 It is no different from University of the Philippines faculty members - like Orville Solon and Stella Quimbo, the two local co-authors of the paper mentioned above - doing research and consulting work with the World Bank or World Health Organization or US Agency for International Development, or wherever, to augment low salaries in UP. It could be one reason why some physicians stay long in government hospitals. They can make more money there than in moving to private clinics and hospitals. This is not to say all doctors in government hospitals engage in this practice. There are some who have the "vow of poverty and pure public service" in their hearts and minds. Many government physicians do not spend much time on each patient. There are just too many patients seeking free or cheap consultation. But the salary of the government physician is fixed, whether they see 20 or 100 patients a day. Perhaps those patients who bought from the doctor’s family-owned drugstore would get longer consultation time, to compensate for the higher cost of the medicine that the patient had to fork out. Or perhaps the same doctors would give their cell phone numbers to those “generous” patients, who can text them and ask more questions and advice even if the physicians are already outside the clinic or hospital. I have yet to see data to back up these claims, but they are highly probable. Nonetheless, the above cases would point to one thing: if certain free market avenues are stifled through more government intervention, one can expect loopholes and circumvention of regulations to happen somewhere. That is why more government subsidies and freebies in healthcare will not achieve “universal healthcare.” If services are provided free - or at a heavily subsidized rate - then demand will always be larger than supply. The result will be medicine and healthcare rationing. People may get free X-ray or some other diagnostic test, but they will have to wait for hours or even days to get the results. In Canada and other rich European economies, some patients have to wait for weeks, or even months, to get appointments to see a specialist. For many infectious, communicable and pediatric diseases and measures to control them, there is a role for government. Although isolation of the patient from the rest of population is an effective way to control and limit further spread of the diseases, continued research, understanding and treatment of these diseases, large scale immunization when effective medications are available, are also important. Sharing two articles below by Reiner Gloor of PHAP, in his weekly columns in BusinessWorld, on (a) on hand, foot and mouth disease and EV 71, and (b) meningococcemia or meningococcal septicemia. Toxins enter the blood, blood vessels are broken, and rashes or brownish spots occur. 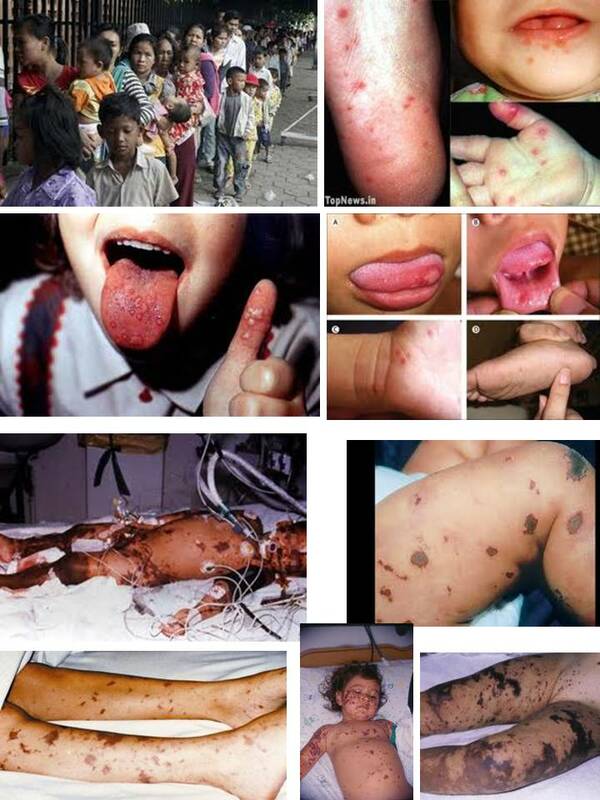 Photos below, upper half are symptoms and effects of HFMD and EV 71; lower half photos are effects of meningococcemia which, if not properly treated, can result in death within 24 hours of the patient. Scary infectious diseases that generally attack children. Mystery no more. This, after the Ministry of Health (MoH) in Cambodia and the World Health Organization (WHO) concluded that a severe form of Hand, Food and Mouth Disease (HFMD) caused the death of about 54 children mostly under three years old. Following disease surveillance, a Joint Statement by the MoH in Cambodia and the WHO said that majority of the patients tested positive for Enterovirus 71 (EV-71) which caused HMFD while some patients tested positive for other pathogens. A joint investigation with support from WHO, the Institut Pasteur du Cambodge, and the US Centers for Disease Control and Prevention (CDC) was launched after the Kantha Bopha Children’s hospital reported an unusually high number of illnesses and deaths among young children since April. The WHO explained that HFMD is a common viral illness that mostly affects infants and children below five years old. HFMD is usually a mild disease, and nearly all patients recover in seven to 10 days without medical treatment. It is most commonly caused by coxsackievirus A16 which usually results in a mild self-limiting disease with few complications. However, HFMD is also caused by Enteroviruses, including EV71, which has been associated with serious complications, and may be fatal. One of the complications is dehydration since some are not able to swallow enough liquids due to painful mouth sores. Furthermore, the EV71 has been associated with meningitis and encephalitis, and may cause severe complications, including neurological, cardiovascular and respiratory problems. The CDC said that HFMD usually starts with a fever, poor appetite, a vague feeling of being unwell, and sore throat. One or two days after fever starts, painful sores develop usually in the back of the mouth which begins as small red spots that blister and often become ulcers. A skin rash then develops on the palms of the hands and soles of the feet or on the knees, elbows, buttocks or genital area. One common practice of the man-made warming leaders and campaigners is to block off people who often question their religion. I have confirmed that once more two days ago when I checked my twitter account. 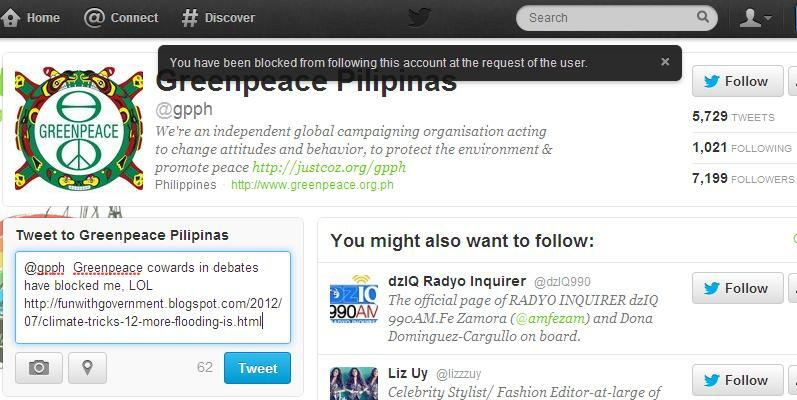 I have observed earlier that after questioning several tweets by Greenpeace Philippines, they blocked me from following them, I posted it here, Greenpeace is Blocking You, November 19, 2011. When I checked again last Monday, this is the result. Cowards, as usual. They only need people who will pat them in the back as "planet saviors". Well, at least I sent them this tweet, "cowards in debates..."
Another cousin or sibling in cowardice but sibling in climate alarmism and noise is the World Wildlife Fund (WWF), their WWF-Philippine office also blocked me. No tears guys, sorry. Oh, the perennial Philippine "climate negotiator" for two decades or more, Dean of the Ateneo School of Government (ASoG), Atty. Tony La Vina, also do not like me questioning his "save the planet" mantra. But at least I sent this tweet to him, "Warming fanatics blocking me..."
1. bworldonline.com, jumped by nearly 27,000 positions. 2. rappler.com, jumped by more than 17,000 positions. 3. manilastandardtoday.com, overtook nearly 15,000 other websites and blogs. 4. interaksyon.com, up by more than 11,000 in ranking. 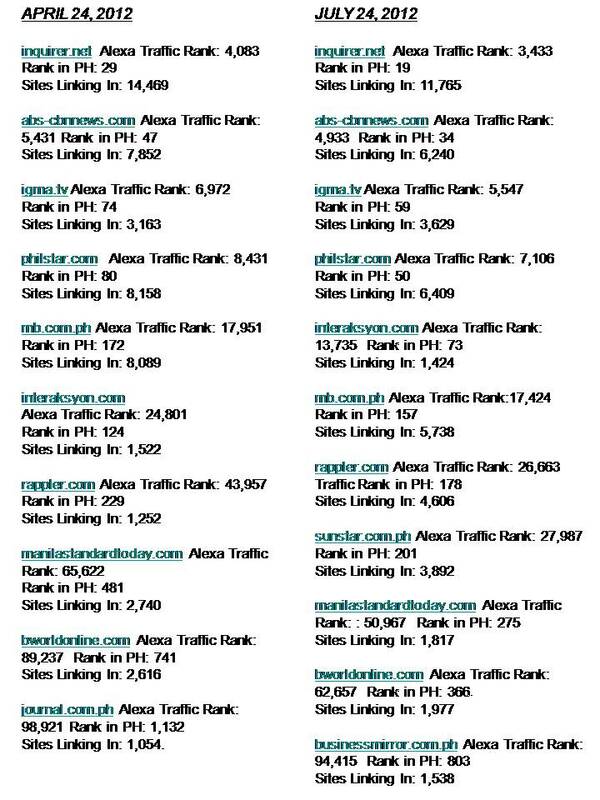 I continue the monthly tracking of the top Philippine media portals and their positions in global internet traffic via alexa.com. I only track those with global rank of below 100,000. Here are their alexa traffic rank 3 months prior to dates indicated. 1. Interaksyon, from 24,801 to 16,079 or a jump of 8,722. 2. Rappler, from 43,957 to 29,170 or overtaking 14,787 other websites and blogs. 3. BusinessWorld, from 89,237 to 74,211 or overtaking 15,026 other sites. 4. Business Mirror, from about 120,000+ to 99,392. State Of the Nation And Dress. I like that description by Cong. Pablo of Cebu, referring to the elaborate clothing by the legislators, their spouses and families, during the President's State of the Nation Address (SONA) yesterday. The left leaning legislators and lovers of more government, more regulations, more taxation, more forced equality, particularly those from Bayan Muna or the mother organization BAYAN, had a field day protesting certain programs of the administration (or the lack of it ) both inside and outside the Batasan. Party list Cong. Teddy Casino wore a barong with design "PRESYO IBABA", meaning prices of basic commodities must come down. Cong. I actually replied to his tweet about it, I said something like this "Yes, please tell the NPA rebels to stop their extortion of businesses as these costs are passed on to us consumers", he did not reply. The barong by another Party list Cong., Paeng Mariano has the design, "Hacienda Luisita, Ipamahagi" referring to the implementation of agrarian reform in that place, in Tarlac City. Lower design wore by a GABRIELA party list Congw. It says something about healthcare services. And another Bayan Muna party list Cong. 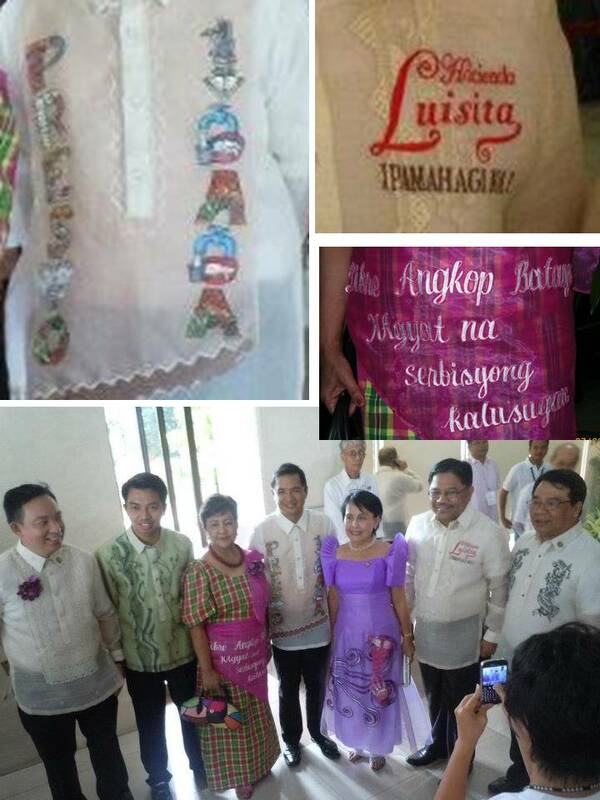 Colmenares wore a barong with the design, "Free the political prisoners". I'm no fan of any of these guys but I like their creativity in putting their advocacy in their formal dresses. A long line of street demonstrators, along Commonwealth Avenue, going to Batasan. The last time I joined a rally during SONA was perhaps in the late 80s or more than 20 years ago, when I was still enamored with socialism. These photos are from the facebook album of the Medical Action Group (MAG). I thanked John and Edel for their permission to use them here. 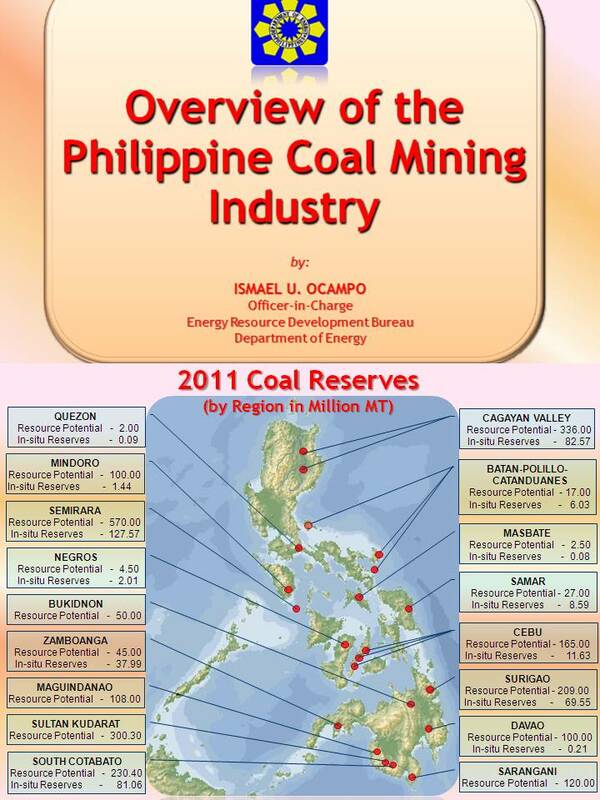 Posting here the major slides of the presentation by Mr. Ismael Ocampo of the Department of Energy (DOE) during the Platts' Forum on Oil, Coal and LNG last July 11, 2012 at the Edsa Shangrila Hotel, Ortigas, Mandaluyong City. The President’s third State of the Nation Address (SONA) will start in about 1 1/2 hour from now. Seems to be a lucky day for the President, the sky has cooperated, cloudy but no rain, the Sun is showing up a bit, after four days. Usually SONA day is SONAbath as the rains, heavy or mild, would fall on that day. July to September are the three wettest months of the year always. 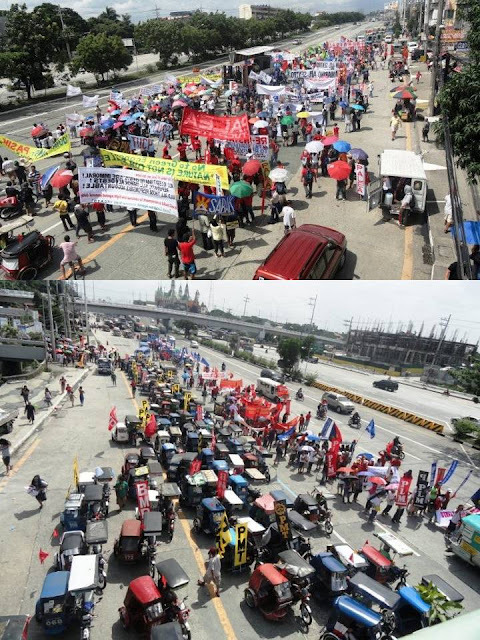 Meanwhile, thousands of anti-government protesters are out on the streets near Batasan, the venue of the annual SONA. People who complain against certain programs of the government and exclaim, “anak ng tokwa” or “SONAmatofu”. 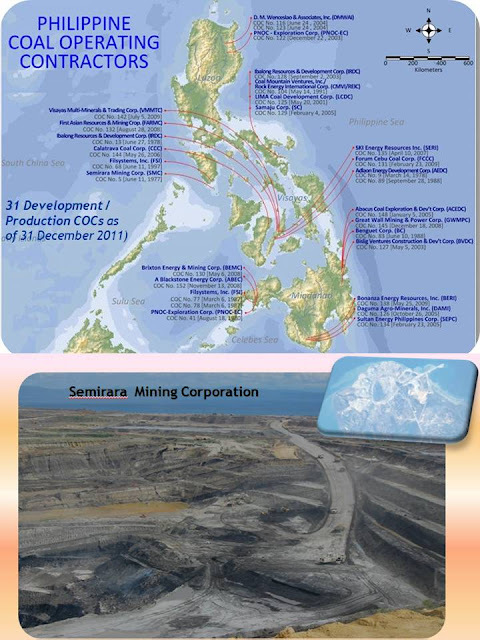 Government climatism bureaucracies like the Climate Change Commission (CCC) and the Department of Environment and Natural Resources (DENR) keep pounding on “fight climate change” and “fight man-made warming”. How can they fight something that is naturally occurring? Climate change is purely natural, warming-cooling-warming-cooling, in endless, natural, multi-decadal cycles. And global warming should mean less rain and less flood, not more; less snow, not more. They just keep deceiving the public to justify their huge budget and junkets to various global climate meetings. A SONA is a summary of the administration’s achievement of the past year or two, and a list of promises of what it intends to do the next year to improve the lives of the citizens. When promises are not met, people often exclaim, “anak ng tokwa” or other worse terms. 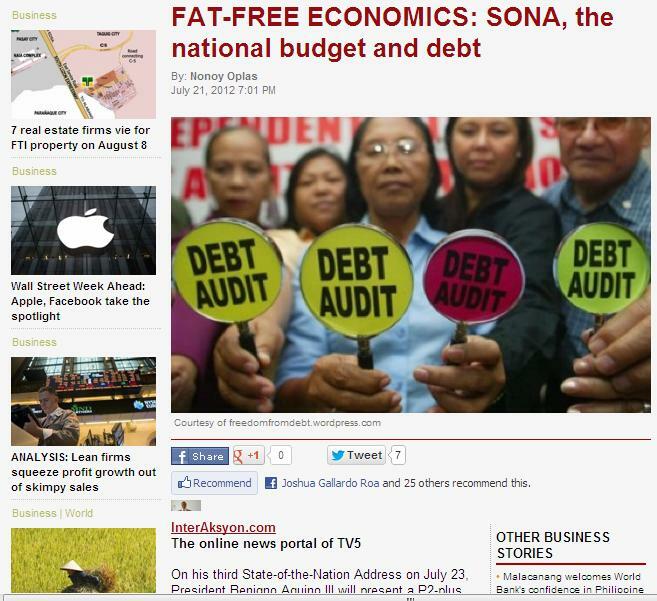 From what I observed among the promises in the President’ SONA in 2010 and 2011, here are some of the SONAmatofu. SONAmatofu, this did not happen in 2011, and did not happen this year. The volume of business bureaucracies, both at the local and national government levels, generally have remained the same or even got worse. A few cities though, like Quezon City I heard, were able to simplify their business registration and/or renewal procedure and hence, shorten the process. But many have remained bureaucratic. If the government has succeeded in that promise, it should have figured prominently in his SONA 2011 or in his speeches lately, but they did not. Two, imprisonment for the corrupt, SONA 2011. Aside from former President Gloria Arroyo and the father-son Ampatuan clan, there seems to be no other high profile corrupt officials who went to prison. At least three high profile personalities accused of murder have remained at large – former Congressman Ruben Ecleo of Dinagat Island (murder of his wife), former Palawan Governor Joel Reyes (accused mastermind of the killing of media and environmentalist Gerry Ortega, and former AFP General and party list Cong. Jovito Palparan (accused mastermind in the abduction and murder of two UP students, Empeno and Cadapan). Cases like these of powerful people committing serious crimes and not getting arrested while ordinary folks are being penalized for minor concerns like driving a motorcycle without helmet or driving a car with a busted headlight, make the citizens’ trust of the police and the government in general to remain low. But even if they distrust the police and the government in general, people simply have to pay lots of taxes and fees to sustain the various bureaucracies in government, from national down to local governments. Three, lower unemployment rate, SONA 2011. The latest labor force survey of the National Statistics Office (NSO) showed that as of April 2012, the unemployed plus underemployed (those with jobs but are seeking additional work) constituted 26.2 percent of the total labor force. This is still high, more than one-fourth of Filipinos looking for jobs are either jobless or have jobs but are looking for extra work mainly to augment their low income. Part of the explanation why this is so is in problem #1 above. To start a simple barber shop, bread shop, internet shop, carinderia, etc., one needs a barangay permit, electrical permit, health and sanitation permit, fire department permit, Mayor’s business permit, BIR-SSS-DTI permits, etc., with their corresponding taxes and fees, and penalties for delayed registration and payment. So the formal sector’s capacity to generate jobs is drastically limited. And that is how the informal sector, micro- and small entrepreneurs who go on with their wares, are subject to extortion by some local governments and the police for lack of necessary business permits. SONAmatofu. 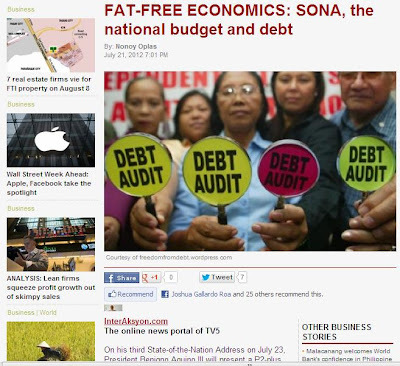 One, no more wang-wang, SONA 2010. People thought, me included, that it was just a short-term campaign, but so far it has been sustained, for two years now. Hats off to the President and his administration for such achievement, both symbolic and actual. Two, bring the South China Sea (SCS) or West Philippine Sea (WPS) conflict to the International Tribunal for the Law of the Sea (ITLOS), SONA 2010 and 2011. This is a significant action that must be sustained, to further internationalize the issue, non stop. 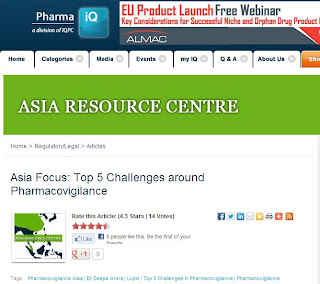 Use various regional and international fora (UN, APEC, ASEAN, etc.) to engage China at the diplomatic level, never at the military and warships level. Three, some governance-related measures like having the new Ombudsman, compensation for victims of Martial Law, children immunization law, etc. The President will definitely have a long list of its own definition or perception of achievements over the past two years in office. But two important measures that it has failed to act are the enactment of a Freedom of Information (FOI) bill and controlling the rising public debt. While it is true that FOI is already in the Constitution, there are no details how government agencies can be penalized for not being transparent to the citizens and taxpayers. And while the ratio of public debt to GDP has declined somewhat, from about 60 percent a few years ago to around 50 percent today, this ratio is still high. A high public is a big problem that requires big payment from taxpayers, not from politicians and legislators. At around P328 billion a year in interest payment alone, average for 2010 to 2012, this problem will continue to hound us as it is the single biggest problem in many European and North American economies now. But more than waiting for what the government will promise, or over-discussing what it has not promised and not delivered, it is important that citizens’ action – more personal and parental/guardian responsibility in running our own lives, our households and communities, more civil society and voluntary organizations’ involvement – be put into action always. Government is coercion. By expecting less from government, by demanding less from government, and demanding that government should confiscate less from our pockets and savings, slowly but surely, we should be able develop a more peaceful, more economically dynamic society. The P1 trillion budget mark was breached in 2006 and the P2 trillion mark will be set next year, or a span of just seven years. 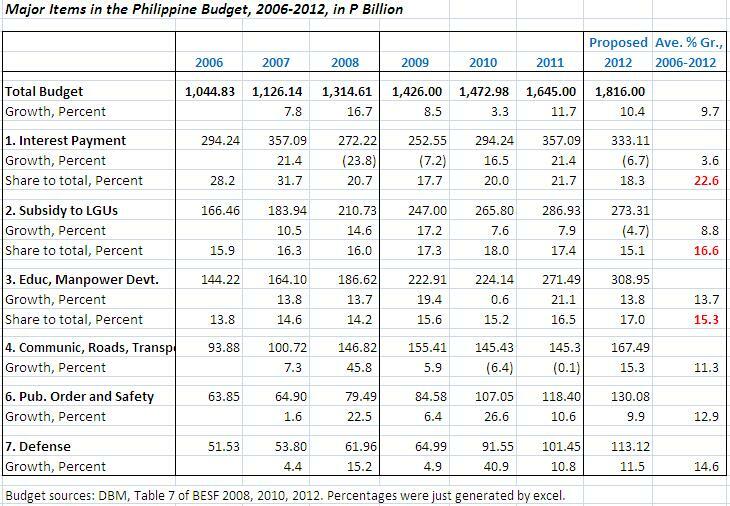 Here are the budget data from 2006 to 2012 taken from the Department of Budget and Management’s Budget of Expenditures and Sources of Financing on years indicated. Interest payment has been the single biggest item in the annual budget. For the past seven years including 2012, an average of P22.60 out of every P100 went to interest payment alone. The direct implication is that the old and endless argument that “government does not have enough money” is simply not true. Government does have plenty of money, but more than a fifth is used to pay its debt. So if government wants to reduce its interest payment and use more money for various services, all it has to do is to drastically cut its annual borrowings. Better yet, stop borrowing even for a year, learn to live within its means and surprise itself that it can survive even without new borrowings. The second biggest item in the annual budget is subsidy to local government units– the provincial, city, municipal and barangay governments. 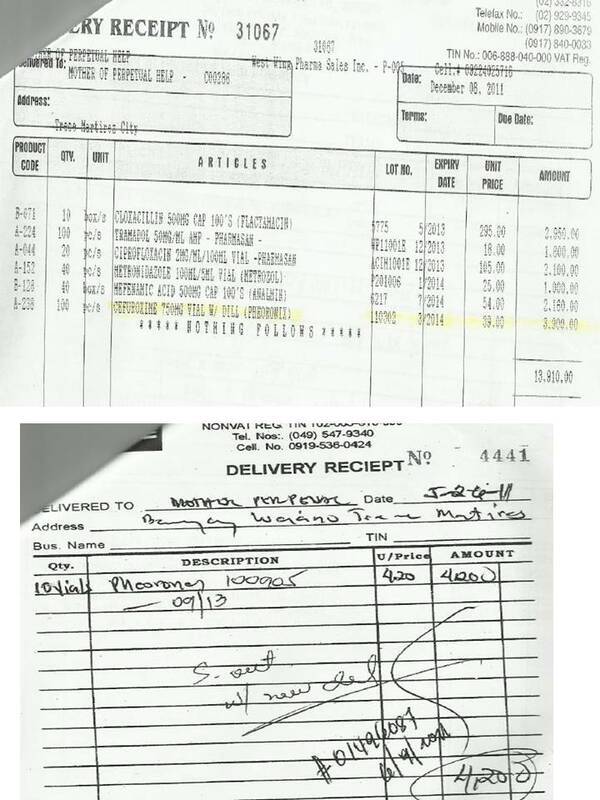 Over the past seven years until 2012, this item constituted 16.6 percent of the annual budget. And the LGUs are not totally dependent on this transfer. They also have the power to create and collect local taxes, fees and fines, so that total government spending, national plus local, is huge. One may wonder how the government has accumulated the debt. Below is the direct explanation: each year, expenditures were always larger than revenues, with or without economic turmoil, with or without elections. The culture of over-spending, of waste and fiscal irresponsibility, is present in all administrations until the current one. The good news is that it is possible to have zero deficit and zero borrowing even for a year because this nearly happened in 2007, when the deficit was only P12.4 billion or 0.2 percent of gross domestic product. We have seen the direct cause of rising public debt. 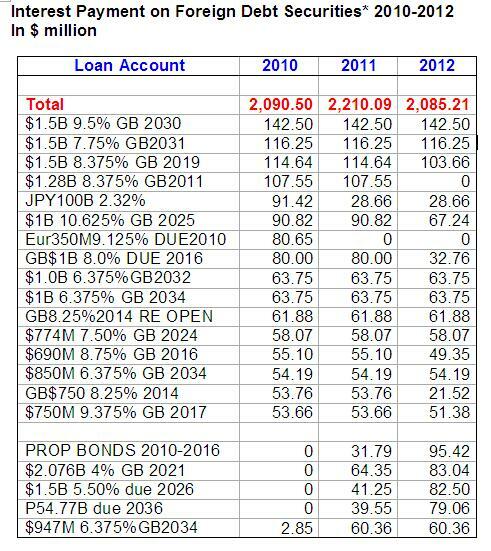 The table below will show how the debt has stockpiled over recent years. 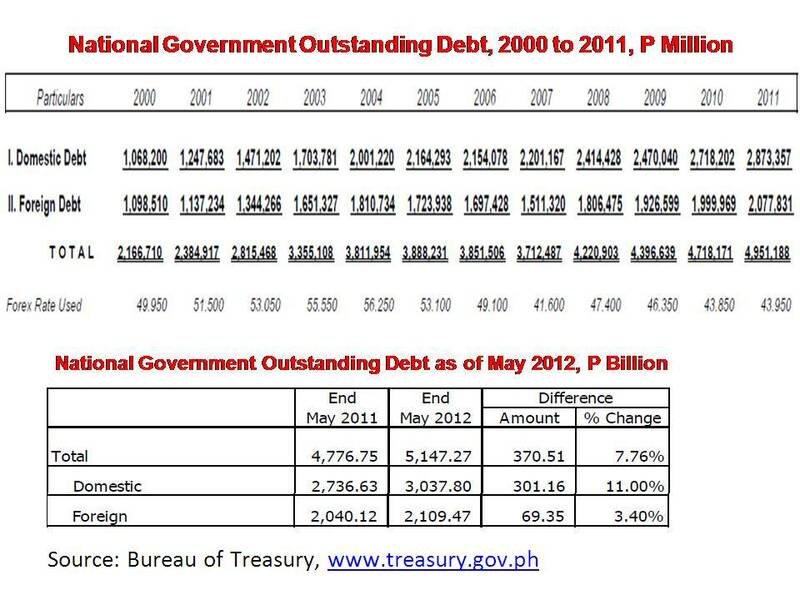 The P2 trillion debt mark was reached in 2000 (the last year of the Estrada administration) with a P2.17 trillion debt. 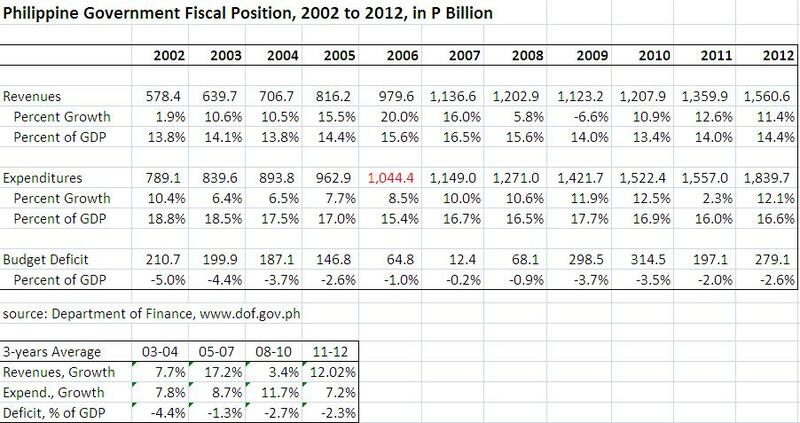 In just three years, the P3 trillion mark was broken with a P3.36 trillion debt in 2003. 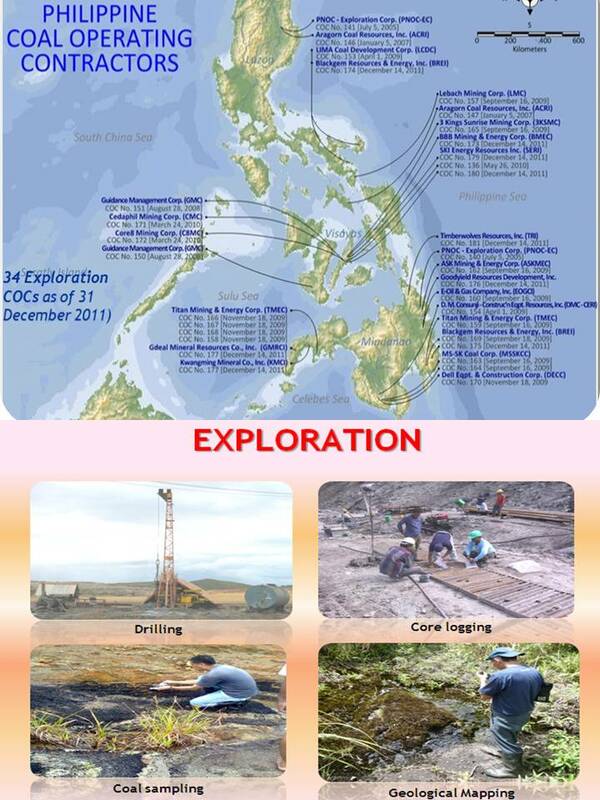 That should be one of the biggest “achievements” of the Arroyo administration. But in fairness, the Arroyo administration also cut its borrowings in the succeeding years so that the P4 trillion barrier was reached five years after, with a P4.22 trillion debt in 2008. The PNoy administration breached the P5-trillion debt mark in March this year. The latest data from the Bureau of Treasury shows a P5.15 trillion debt as of May 2012. Some sectors always harp on their apology and justification that “more borrowing is fine so long as our capacity to pay is there, if not improved.” Really? If our capacity to pay growing debt has indeed improved with rising economic activity and GDP size, then how come the government is biting on high interest, long-term loans? If one is not desperate for more borrowings because its capacity to pay debt is improving, then one should shun and avoid those high interest loans. But this did not happen. 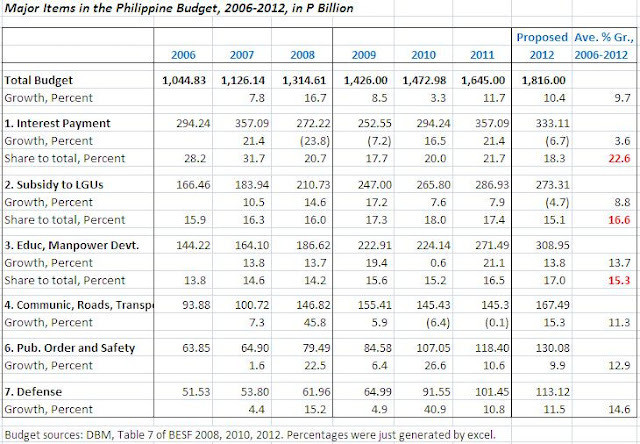 See the table below from DBM’s BESF 2012. 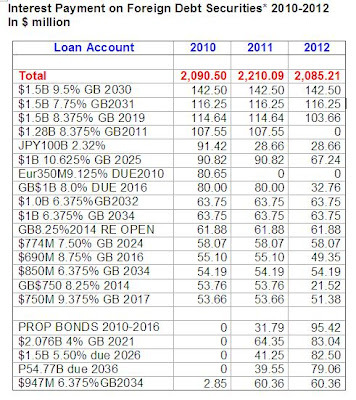 One loan account alone, $1.5 billion 9.5 percent GB 2030 charges us $142.5 million or P6 billion a year assuming a P42:$1 exchange rate. And we will keep paying at this rate, principal amortization not included, until 2030. The second loan account charges a lower rate of 7.75 percent per year, but $116 million is almost P5 billion a year on interest alone. We are paying P11 billion a year on interest for these two loans alone. This is larger than the 2012 budget of P8.66 billion of the Department of Justice and its five attached agencies. Or a bit lower than the 2012 budget of P13.36 billion of the Supreme Court and the lower courts nationwide. So if we are to make one wish in the President’s SONA, here is mine: Drastically cut, if not stop, borrowing even for a year, force the entire government bureaucracy, from Executive to Legislative to Judiciary, to live within their means. If not in 2013, perhaps in 2014. Come on Mr. President, surprise us, surprise yourself and your political detractors. Mrs. Arroyo nearly did it in 2007. You can do it too. Just cut the fat and pork in many government bureaucracies, programs and projects. Global warming causes more evaporation in the ocean, that creates more rain clouds, that causes more rains and flooding. 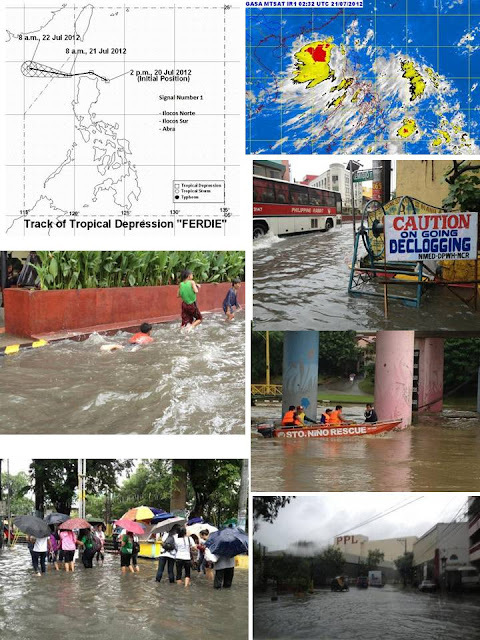 Therefore, more rains, more flood is caused by global warming. Can you believe that? The original formulation was that global warming will cause more drought and less rain, more mild winter and even no-snow winter in the northern hemisphere. Granting for the sake of argument that the first paragraph above is correct. Then we can also surmise that global cooling will cause less evaporation in the ocean, that results in less clouds in the sky, less protection against the Sun's energy, less rain, less flood and more drought. Therefore, less rain, less flood is caused by global cooling. No way, the warming religionists will reject the above (3rd) paragraph. Because man-made warming will cause less rain and more rain, less snow and more snow, less storms and more storms. Whatever weather we will have, man-made warming, or man-made climate change, is to blame. And hence, we should send more money to the UN and its attached agencies, we should borrow more money from the WB and ADB in climate adaptation loans, electric tricycle loans, and send them back more money in debt servicing. And of course, people should donate more money to the WWF, Greenpeace, Oxfam and other environmental gurus and planet saviors. The weather has been freaky the past few days here in Metro Manila and many provinces of the Philippines. 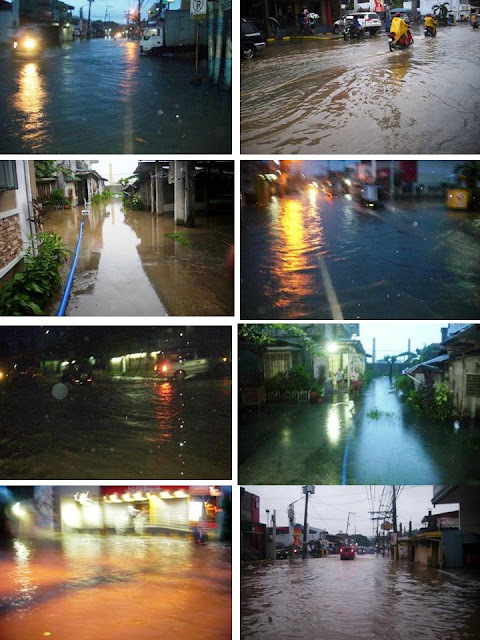 Heavy rains especially in the evening, resulting in street flooding in many areas and cities. This morning, heavy rains pounded again the metropolis and many provinces. Photos below I got from facebook shared by some friends, not one of them came from my camera. Some photos from DZMM radyo patrol. For many groups in the health sector in the Philippines or in many other countries, the main concern is medicine prices and access. While this is understandable on the important premise that drugs can heal, there is also a rather silent issue that drugs can also kill. And that is where concerns on rational use of medicines (RUM), substandard and counterfeit medicines, adverse drug reaction (ADR), anti-microbial resistance (AMR) and pharmacovigilance (PV) would come in. It is not just cheaper medicines, free medicines, accessible medicines, that should be the focus of public healthcare. I have argued before that preventive healthcare is as important, if not more important, than curative healthcare. RUM and PV are among the important components of healthcare. A physician friend, Dr. Kenneth Hartigan-Go, shared with me a short but useful article from Pharma IQ, www.pharma-iq.com/, below. It describes five challenges and issues on PV focusing on Asia. I think the five challenges there are true. On #5 alone, medication errors resulting in ADR, I wrote about the case of my friend who has been suffering from 20 days of continued fever, body rashes, and how a misdiagnosis by the first doctor that they have consulted, the failure of the other doctors to see the problem, has resulted in prolonged pain and agony, and bigger expenses, for the patient and the family. See here, Health Transparency 10: Physician Misdiagnosis, Dispensing Medicines. 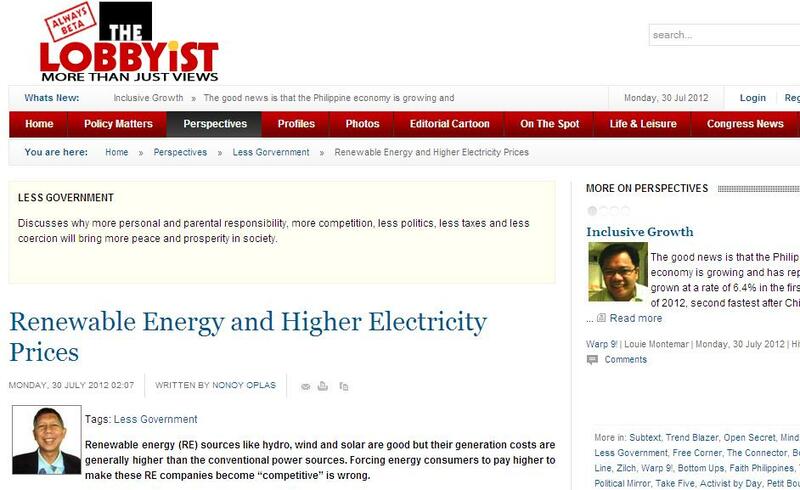 After that article, I included a paper by Reiner Gloor posted in BusinessWorld last year, on PV, ADR and RUM. Seeking advice from lawyers and physicians: A good friend of mine has been sick, almost 3 weeks fever, they consulted 3 physicians, they all gave different diagnosis. A 4th doctor said he shd be confined. The family felt robbed by the 3 previous doctors. Any remedial action? A friend commented why sue doctors for having different opinions. I replied that suing a doctor is a last resort due to the high costs and legal hassles involved. That is why I was asking other remedial measures/actions. For now, the immediate concern is how the patient can recover, 19 days of fever. They hope the 5th doctor can give a more correct diagnosis. This is how the disease has dragged on, as narrated to me by the wife of the patient. Well, she's my friend too. July 4, wife bought him to The Medical City Satellite clinic in Antipolo. Had fever for about 3-4 days already. Doctor advised him to have CBC, urine test, Xray. After 30 mins the 2 tests were released and he was asked to take antibiotics for his UTI. He was asked if he has allergies, there is none. Next day, wife took the XRay results. Patient still suffering from high fever, brought him back to TMC clinic. Again cbc tests, but doctor had an emergency and results was never read. Wife had limited money at that time, was told another doctor can see them but then she/he will ask for another consultation fee. Wife got pissed because they already paid the previous doctor w/o prescribing them and interpreting the tests results. So they looked for another doctor in a different clinic. Come Sunday, rashes in the patient's body mostly from tummy. And still suffering from fever. Wife thought those rashes were reaction from the Med he was taking. Come Monday they went to Clinica Antipolo and decided to have another blood tests before seeing new doctor. Wife explained to the doctor what transpired in their consultation at TMC Clinic. Gave her all the previous and present tests results . And the rashes have come out almost all of his body. Doctor said those were measles. She advised wife to stop giving patient those antibiotics and instead to take Vitamin C with Zinc and Paracetamol if with fever. The fever continued and so paracetamol was given to him every 4 hours. Last Friday, wife noticed that in his personal urinal, he only peed few from the previous night. So come Saturday monitored all his water intake and his Urine. From the 5 glasses that he drunk the whole day he ony peed only about half glass. Wife was alarmed, called up his doctor that told them earlier that it was measles, advised them to have another urine and blood tests. At this time, patient was already weak and manas na sya. So after results was released this morning, new doctor from Clinica Antipolo advised her to confine the patient. New doctor said that those rashes weren't measles but instead Stevens-Johnson, wife was shocked. 1. Erwin, a physician: "Mukhang nag ACUTE RENAL FAILURE." 2. Arnel, a lawyer: "If legal remedy, none, based on the facts; consultation lang naman, at humingi ka ng second opinion." I thanked them and others who pitched in short advice. So it's a clear misdiagnosis or medication error by the first doctor from The Medical City who prescribed the antibiotics. Perhaps if the same doctor saw the patient the next day, he could have advised to discontinue the antibiotics but as the wife narrated above, that doctor attended to an emergency case of another patient. 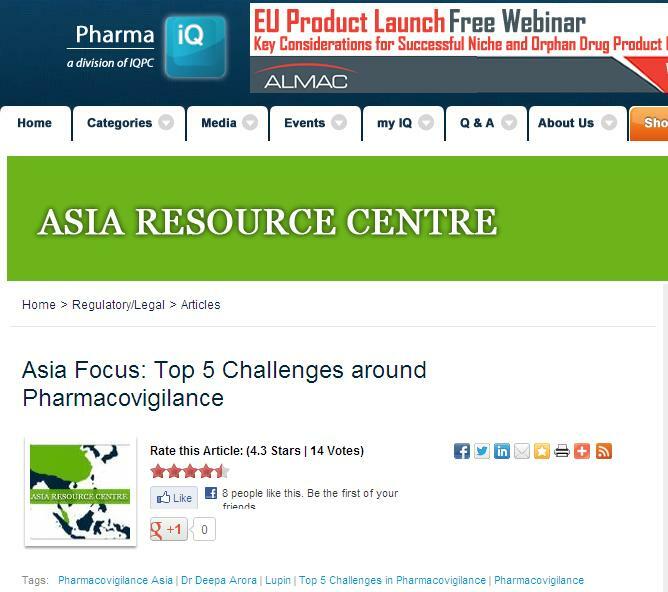 Adverse drug reaction (ADR) is an important issue in healthcare and pharmacovigilance. Drugs can heal, but drugs can also kill. I briefly wrote about it here, Counterfeit Drugs 4: Drugs Can Kill. Welfarism 21: Is Malaysia a Welfare State? Welfarism in Europe and North America is slowly crumbling. The less ambitious, the irresponsible, can be rewarded by the expensive government welfare programs while the hard-working can be over-taxed to finance this scheme and governments over-borrow to bridge the funding gap between high spending and lower revenues. 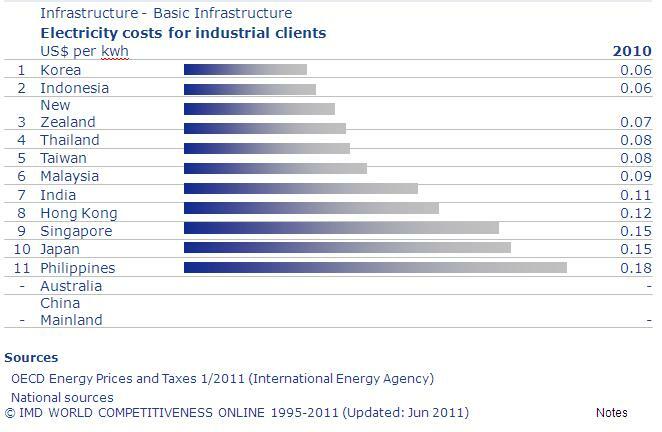 And that largely explains why these developed economies are now mired in huge public debt burden. A number of Asian economies are trying to imitate this model of a nanny state. Below is a good article by a good friend from KL, Wan Saiful Wan Jan. Reposting. 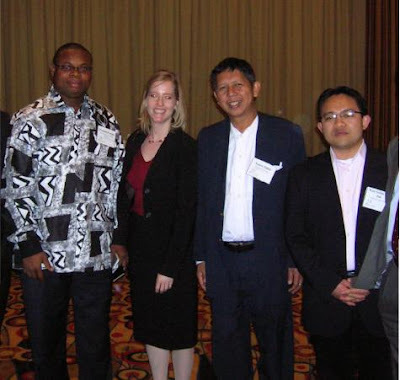 Photo taken in April 2009, during the Atlas Liberty Forum in Atlanta, Georgia, USA. Wan is rightmost. Beside me were Colleen Dyble then of Atlas, and Franklin Cudjoe of Imani-Ghana, a free market think tank there. I would see Wan and other Asian friends yearly since then, in several Asian regional meetings or conferences of free market groups, like the EFN Asia Annual conference. Is Malaysia a welfare state? Speaking at a Chap Goh Mei event in Klang earlier this year, Prime Minister Dato’ Sri Najib Tun Razak said that any attempt to turn Malaysia into a welfare state could result in an economic disaster. Najib was reported to say that welfare states will eventually lose their competitive advantage due to an onset of complacency. The Prime Minister is absolutely right in making that claim and his resoluteness should be applauded. Welfare state is most certainly not the best way forward for our country. As we have a long history with Great Britain, perhaps it is worth refering back to British history when discussing the concept of welfare state. The man widely seen as the architect of modern British welfare state is Wliiam Beveridge. An economist and social reformer, Beveridge was asked by the British government in 1941 to draft a report on how Britain should be rebuilt after World War Two. And when Labour’s Clement Atlee defeated Winston Churchill in the 1945 general elections, Atlee committed his government to implementing many of the recommendations set by Beveridge. As a leftist party, it can only be expected that Labour would jump at the opportunity to increase the role of government. And that was the beginning of the modern British welfare state. In implementing Beveridge’s recommendations, Atlee’s Labour government introduced several new laws. Through the Family Allowance Act 1945 families with children receive an allowance to help them with childcare, commonly known as the child benefit. The National Insurance (Industrial Injuries) Act 1946 is something similar to our SOCSO. Workers who are injured or become disabled as a result of performing their jobs would receive compensation through this act. The National Insurance Act 1946 provides even more social security to Britons by expanding the provisions of the original Act first introduced in 1911. Through the national insurance scheme, the public pays a regular contribution to the government, and in return they receive a wide range of benefits including unemployment benefits and government pension. The National Health Service Act 1946 created a taxpayer-funded national healthcare system. The Act has has several changes since it was first introduced, but, the principle of free healthcare remains until today in the United Kingdom. And of course there are many more later additions to the welfare state schemes in Britain up to today. James Bartholomew, author of the double award-winning book “The Welfare State We’re In” lists, among others, free education, government housing schemes, government pension schemes, and government-backed social security schemes as elements of today’s British welfare state. It is difficult to summarise Bartholomew’s 381-pages book in this short article so I urge readers to grab a copy if they want to know more about the dangers of a welfare state. But to summarise, Bartholomew argued that decades of welfarism has created a British society that is poorer that they otherwise would have been, greater unemployment, greater dependency on government, higher crime rate, and a less decent and civil society. So when Prime Minister Najib declared his newfound stance against welfare state, we really should applaud him. I say it is new found because just a few months before his speech in Klang this year, Najib was actually supporting welfare state. In fact, in June 2011, Najib was reported to have said that the policies of UMNO and BN fits better in the welfare state concept because they were the one who introduced free education, free healthcare, subsidies for food items, and subsidies for fuel. To hear the Prime Minister changing his mind about welfare state after firstly supporting it is definitely good news. Nevertheless, I am worried that not the government is flip-flopping again, especially because we are now seeing the rise of welfarism inMalaysia to a ridiculous extent. Malaysia can now boast new inventions in welfare statism that would put even communist China to shame. Just take a look around and we will see how, in just a few months, the number of government interventions in the name of welfare provision has increased tremendously. The RM500 given to those with household income of less than RM3000 was only the starting point of this new wave of welfarism. I do not know which other welfare state has government-backed retails outlets like Kedai Rakyat 1Malaysia, let alone government-backed fishmongers like Kedai Ikan Rakyat 1Malaysia. Even schoolkids are not left out in welfare state Malaysia. They received free vouchers and even pocket-money for no obvious reason at all. And who would have thought we would see a government dishing out free tyres to taxi drivers? Indeed Malaysia Boleh! We also now have minimum wage, and there are talks about introducing unemployment benefits. Both of which are prominent facets of a welfare state. All these are signs that we are sliding fast towards the welfare state concept that our own Prime Minister has initially rejected. This is a worrying development, and, unless checked very soon, I fear Dato’ Sri Najib’s prediction that welfare state could result in economic disaster for the country could indeed become true.